What is 'Buildings and Contents Insurance'? 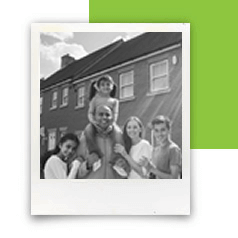 Buildings and Contents cover is a combined home insurance policy which is designed to protect both your home and your belongings against a range of risks including fire, smoke, storm, flood, subsidence, and theft. HomeProtect Buildings and Contents policies also include basic Accidental Damage cover. Our Buildings and Contents policies provide cover for your home and outbuildings including fixtures and fittings, and also for your household items, personal items and business equipment when they’re inside your home. Alternative accommodation if you can’t live in your home due to an ‘insured loss’, up to a specified limit. Replacement of Contents on a new for old basis. Check out the What’s Covered? section of our FAQs for answers to particular questions about what HomeProtect Buildings and Contents insurance does and doesn’t cover. There are a few situations where you would not be covered – for example, theft of belongings from your home is only provided when there are signs of damage caused to gain entry or the thief used violence or deception to get into your home. Our Policy Booklet sets these out in detail. Combined insurance policies are designed for people who own a house on a freehold or leasehold basis. Leasehold homeowners who live in flats, however, tend to take out Contents-only insurance to cover their belongings because the freeholder usually insures the building, although it is important to check the exact arrangements for your situation. Similarly, if you rent your home, your landlord will usually be responsible for insuring the building, so you would only need tenant Contents cover to protect your furniture and belongings. Landlords who let out unfurnished or lightly-furnished properties generally choose Buildings-only policies. HomeProtect Buildings-only Landlord insurance includes up to £7,500 of contents cover per claim (when there is damage is to the property by an ‘insured loss’ at the same time). Personal Possessions cover for items outside your home (within the UK) such as your wallet or handbag, jewellery or camera. Cover for Specified Items anywhere in the world. With these and the option to adjust the voluntary excess that you’d pay in the event of a claim too, you can customise your HomeProtect insurance policy to provide the level and scope of cover that you want. It’s your policy, and your choice. Need Buildings and Contents cover?